Content and Format: The CCR2015 Workshop builds on the successful Workshop on Web Mining in 2014, by providing training on major approaches and tools of computational social science for communication research. 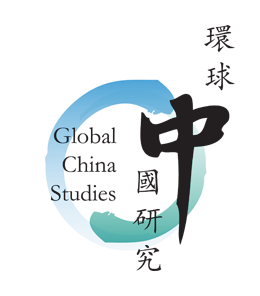 In particular, the Workshop will focus on the key steps in carrying out computational communication research, including overall design, data collection, data analysis, text mining, and data visualization. All lectures will be a mix between conceptual discussions and hands-on practices (using R language as the primary tool for most sessions). Desktop computers with Internet connection will be provided to all participants. However, participants are strongly advised to bring your own notebook computers with R and RStudio preinstalled. 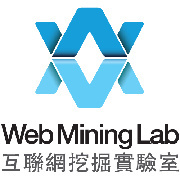 Workshop Speakers: The speakers are faculty or PhD graduates of Web Mining Lab, who are social scientists by training with ample experience in developing and applying computational social science tools to communication research questions (often in the context of big data). They have taught as a team similar workshops at CityU, mainland China, the U.S., and elsewhere. Intended Participants: The Workshop is designed for academic and applied researchers for communication and media, who are familiar with statistical analysis (e.g., multiple regression, logistic regression, time series analysis, etc.) and R language. Those who have not used R but are familiar with other programming languages (e.g., Python, C, Java, etc.) are advised to learn R in advance, e.g., by following online resources (e.g., R Tutorial, Code School, Eduraka!, and many others). It will be extremely difficult for anyone without any prior knowledge of statistical analysis and programming to follow the Workshop. A review session on R programming will be provided for those admitted participants who would like to refresh memories of the language. However, the short-review isn’t adequate for anyone to learn R from the scratch. Internal Audience: The Workshop is open, free of charge, for faculty members, doctoral and master’s students, and alumni of Department of Media and Communication, and participants in the 2015 CityU Summer School in Social Science Research, who apply with the attached form by 8 May 2015. Due to limited seats, later applications will not be entertained. External Audience: The Workshop will be open for the public from 11 May 2015 if extra seats are available, with further details announced at CCR2015 website. Jiang, L. C., Wang, Z. Z., Peng, T. Q., & Zhu, J. J. H. (2015). The divided communities of shared concerns: Mapping the intellectual structure of e-Health research in social science journals. International Journal of Medical Informatics, 84(1), 24-35. Bisgin, H., Agarwal, N., & Xu, X. (2012). A study of homophily on social media. World Wide Web-Internet and Web Information Systems, 15(213–232).